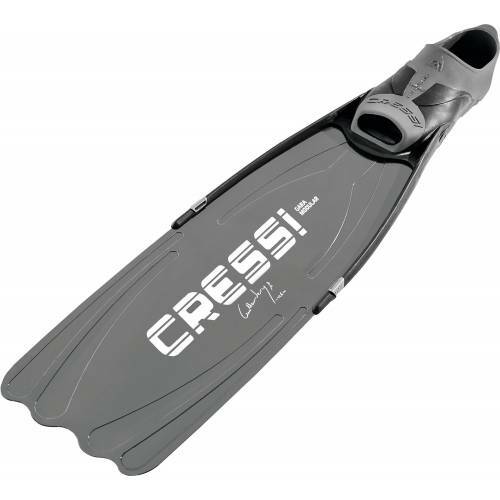 Cressi introduces its Gara Modular long Blade/Footpocket system. 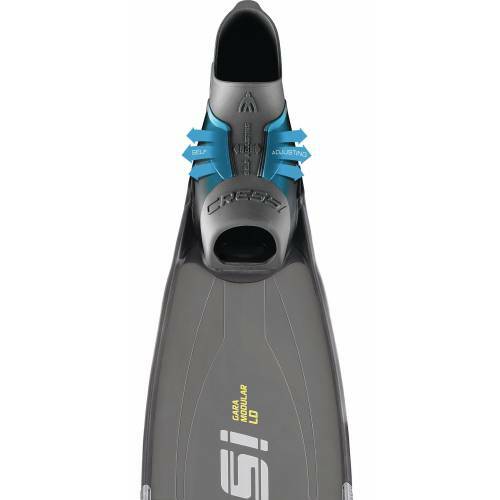 The Gara Modular system makes this a perfect choice for deep freediving and spearfishing for divers of all levels. 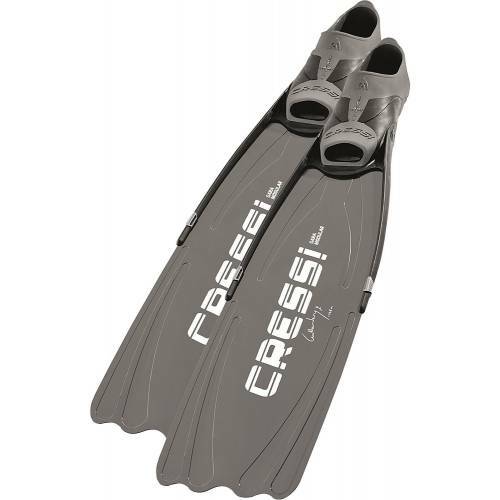 The modular design lets the user replace/interchange blades for specific diving purposes, which make the perfect fin to grow with, as the diver can change blades as the divers skills increase. Any standard Fiberglass or Carbon Fiber long blade will interchange in minutes without any modifications to either. The self adjusting footpocket is constructed with the most modern multi compound joining process to deliver a footpocket that can offer comfort and suppleness around the foot where desired and yet have stiffer compounds under the footpocket and heel area where power transfer takes place. The angle of the blade provides the ultimate in efficiency during the kick cycle requiring less energy to load the blade. Can be comfortably worn with or without neoprene socks. The footpocket is available separately for the user to install any standard aftermarket angled or straight blade assemblies. The footpocket is constructed with the most modern multi compound joining process to deliver a footpocket that can offer comfort and suppleness around the foot where desired and yet have stiffer compounds under the footpocket and heel area where power transfer takes place, and the self adjusting foot pocket expands to be comfortable with or without socks. The Cressi modular blade is available separately for the user to install in almost any standard angled footpocket assembly either for an upgrade or replacement.